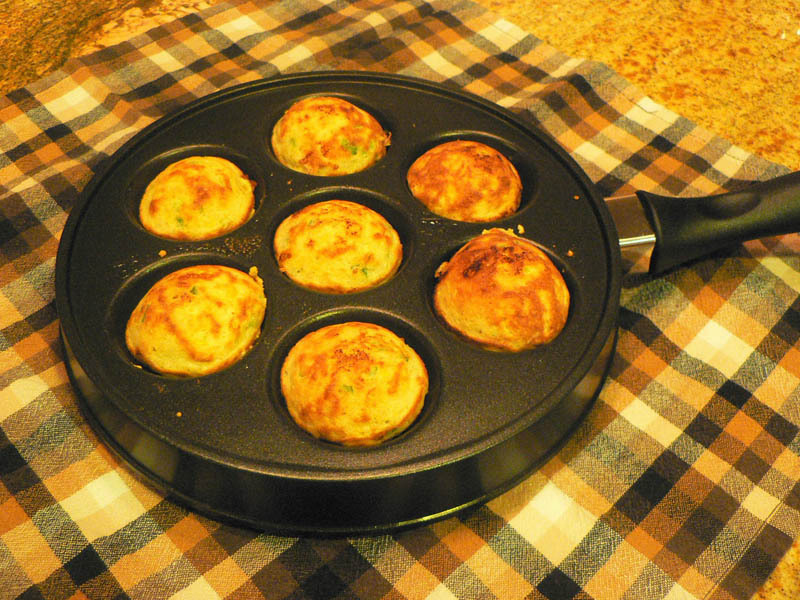 I had never heard of Ebelskivers ( Able-skeevers ) before. While browsing in William Sonoma I found this book, Ebelskivers; Danish-style filled pancakes and other sweet and savory treats by Kevin Crafts. They also had the speciality pan with rounded wells in which to cook the pancakes. 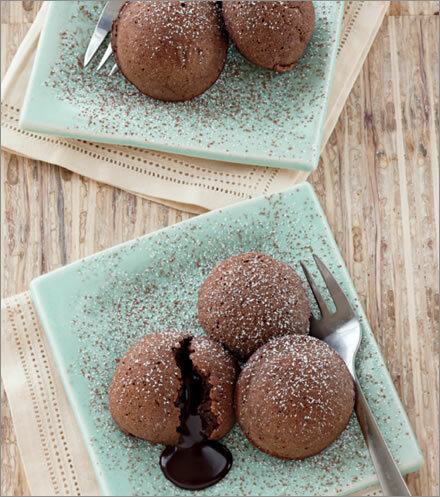 I thought to myself, “Oh no, you don’t need another speciality pan to cook things in.” But reading the cookbook containing mouthwatering dishes like iced gingerbread ebelskivers, molten chocolate ebelskivers, and mushroom and pancetta ebelskivers, I became intrigued. Who knew there were so many things you could do with a round stuffed pancake. Just the plain round pancakes would be fun to cook for kids. But you can add jams and jellies, cooked apples, lemon curd or anything else that you have on hand. I did not buy the pan or the book while I was at William Sonoma, but I did find both of them on Amazon later. They arrived this week and I have started to experiment. These spicy corn ebelskivers with tomatillo salsa went well with our chili last night. The ebelskivers are easy to make. 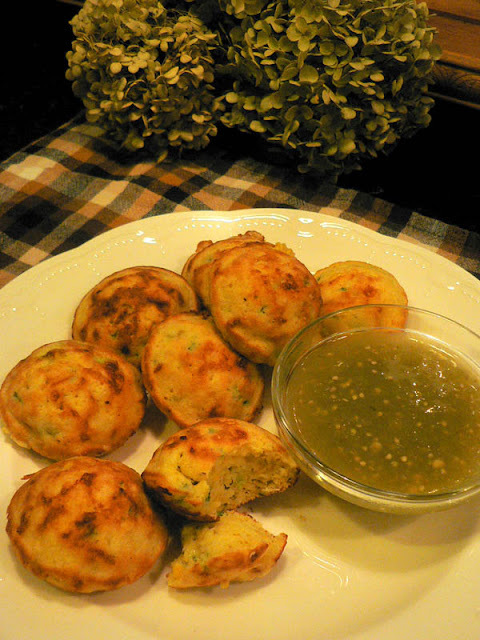 I loved the flavor of these cornmeal pancakes filled with jalapeno pepper, corn, scallions and Monterrey jack cheese. Here is what I am making next. Posted on October 11, 2011 at 11:11 am.